Since the day St. Francis Veterinary Center opened, Dr. Dyson has taken in abandoned, lost, injured and homeless animals. Through her own donations and donations from clients and the public, she has treated these animals for any ailments, and found them loving forever homes. Squiggley was Dr. Dyson’s very first personal rescue in 1994. 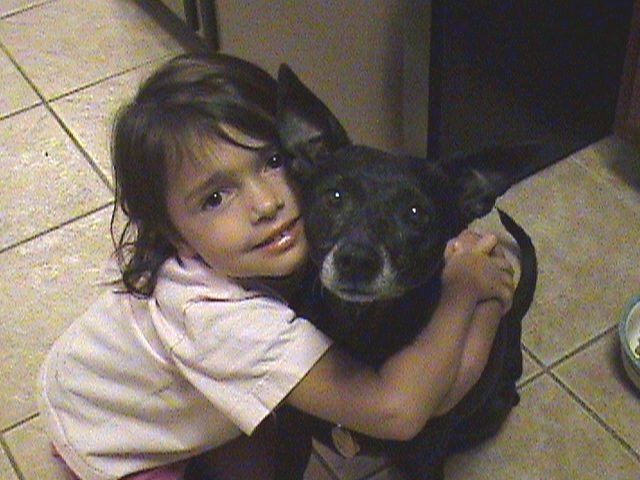 Squiggley was one out of a litter of eight little black terrier girl dogs. She was very timid and had gone to the local adoption day for eight weeks without being adopted. The eighth week was her final, and the owners had decided to euthanize her. That day, Dr. Dyson, then just an undergraduate college student, took Squiggley home. Squiggley lived to four months shy of her 16th birthday. Since rescuing Squiggley, Dr. Dyson has rescued numerous animals and given them a forever loving home. In honor and remembrance of Squiggley, Dr. Dyson has named our rescue “Squiggley’s Safe Haven”. Squiggley is in doggy heaven now, looking down and sending more rescues her mom’s way. Squiggley's Safehaven is a 501c company. If you would like to donate click the Donate button.